Our Team was enlisted to remove all of the existing porcelain tile – repair the substraight – and reinstall over 40,000 s.f. 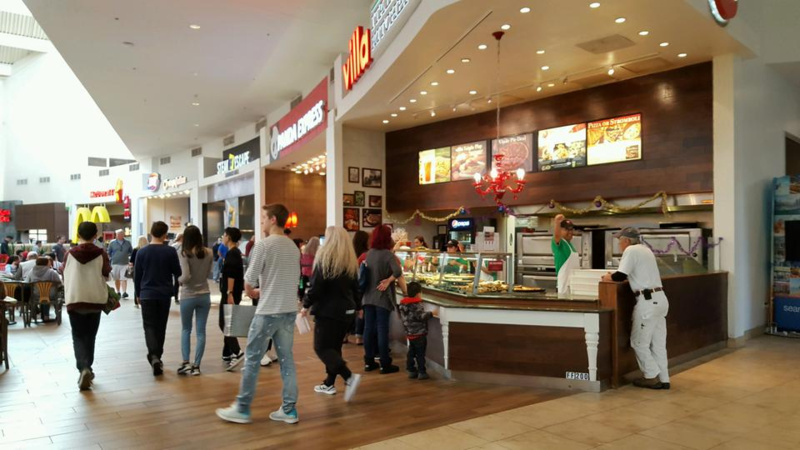 of porcelain wood plank tile and large format tiles, all while the food court remained open for business – this feat included pedestrian access to venues while the work was performed during normal business times. Dust control / pedestrian transitions / stanchion placement / were a constant rework during this complex project.